(Barcelona). Premiered on January 27th 2017 – toured through Taiwan, the Netherlands, Germany, Italy, Greece, Spain and France. ‘Fluid Dynamics’, installation for FAUNA#2, Hoop (The Hague, March 11th). Flexor, installation and performance (2013). Flexor I: Spheres: Artscience Preview (Korzo Theater, The Hague, May). Flexor II: KABK Graduation Show (Royal Academy of Art, KABK, The Hague, July). 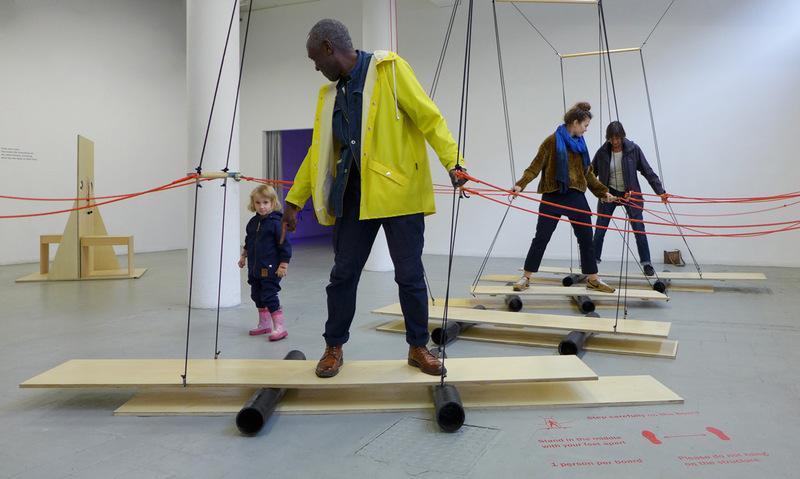 Approximation – Performance and installation, shown at KABK, Stroom Den Haag (2012), TodaysArt (2013) and Rijksmuseum: The Deepest Sense Symposium, Amsterdam (June 2014). Recursive Garden – A speculative performance on human beings as vegetable systems, for the efficient future of the species. A collaboration started with Daniel Berio (during GrowWorld, Artscience research group, March-April). Meiosis (2011) performance Eight people perform a sequence inspired by cellular reproduction and walk throughout a public space. Shown in the KABK, june 2011. Performed by: Gala Tellechea Velez, Gaby Felten, Clara Lozano, Moritz Geremus, Charlotte ‘t Hart, Marloes van Son, John Fanning and Silvia Janosková. ‘DOTNOTATOR’ (2011) performance-installation presented at Z-Zondag (Villa Ockenburg) and Studio Loos, The Hague. In collaboration with Mike Rijnierse, Marijke van Gorp and Nenad Popov. Cauim Experience (2010) – the reenactment of a native Brazilian tradition in which women prepare the ‘cauim’ (alcoholic beverage made with the cassava root, after it’s chewed by the women of the tribe and fermented by the collective saliva). The ceremony-experiment held at the TactileLab/Artscience was introduced by a short lecture on the cassava culture in Brazilian culinary. The audience is sitting in the center of the room. Performed at KABK, june 2010.